The Master Gardener Program is developing a demonstration garden. This garden will be used for public education. Classes and workshops will be offered with an emphasis on sustainable gardening practices and backyard food production. The demonstration garden is divided into six general areas reflecting the Master Gardener mission statement: drought tolerant gardening, edible gardening, supporting wildlife and bees, attracting beneficial insects, children’s gardening, and living with oaks. There are two garden areas currently planted. The Butte County All Star garden is in front of the visitor center, and the plants featured are favorites of Butte County gardeners that meet the criteria of sustainability. The Mediterranean garden is just to the right as you exit the visitor center. Butte County is in the Mediterranean climate zone, so these plants grow well and tolerate our hot dry summers and usually wet winters. Under development are our native plant garden, our backyard orchard and herb garden, and our raised bed garden. This is a work in progress, so if you see a work party, stop by and talk to the volunteers, they will be happy to show you around and answer questions. Stop by and visit the gardens frequently so you can see how the plants look during the various seasons. In the spring of 2015 the Master Gardeners will start scheduling workshops and education events at the garden. These will be posted on the Butte County Master Gardener web site and the Patrick Ranch web site. This is a cooperative effort between the UC Master Gardener Program and Far West Heritage Association. If you have any questions or would like more information regarding the Master Gardener Program, please call University of California Cooperative Extension at 530-538-7201, or visit their website at ucanr.edu/sites/bcmg . 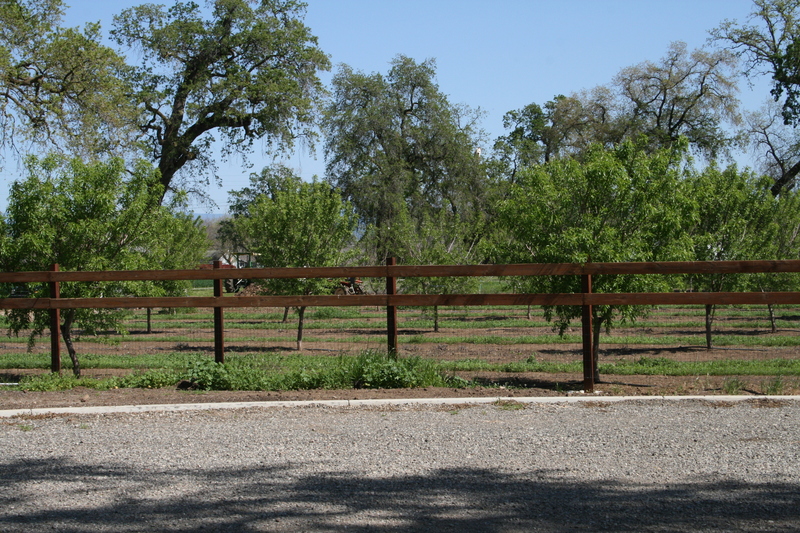 Located just south east of the Visitor Center is the Historical Almond Orchard. University of California Cooperative Extension Farm Advisor Emeritus Joseph Connell established this orchard in February 2011. 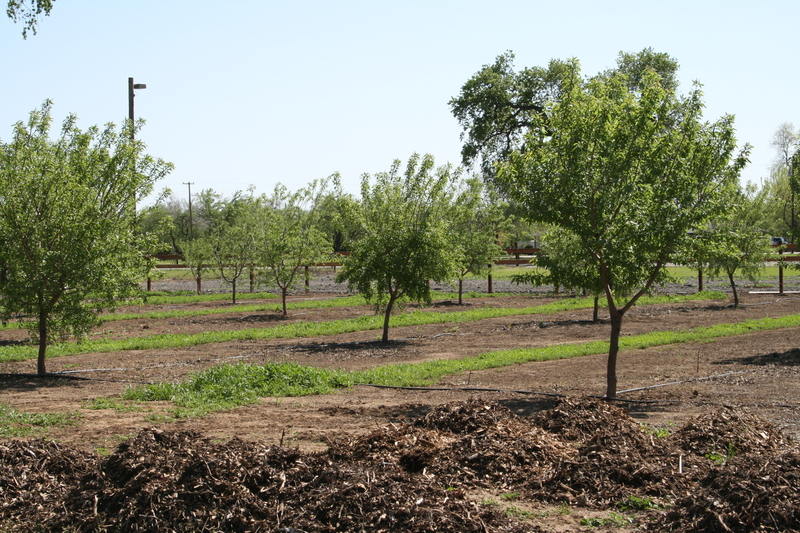 After three years of planning, the trees were planted in a 25 x 25 square on Hansen 536 Peach/Almond Hybrid Rootstock. Varieties planted represent the foundational introduction period of the California almond industry from 1850 to 1900. Earliest plantings were of varieties such as Languedoc from the province of the same name in southern France. They produced poorly because of the lack of understanding of the need for cross pollination. Other varieties in this orchard are seedling selections made from seedlings planted in California by early agricultural pioneers. They became the foundation of the California almond industry. The varieties planted, together with their historical influence are listed below.